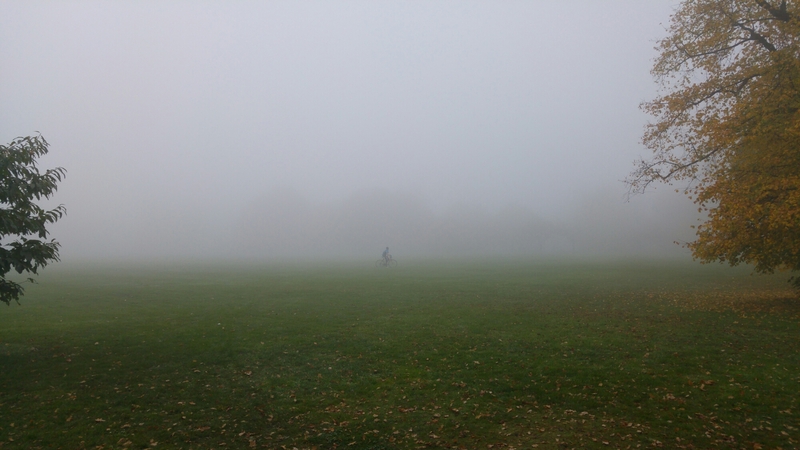 Surprisingly, Nic and I managed to get out the door at 9.15 this morning to go cycling – despite the copious cider drinking of yesterday.. We had to break in the new bike, and the weather was so incredibly foggy it was a fantastic ride. We ended up going over 33 miles in the mist around London. This photo of Nic was taken in Greenwich, you could hardly see ten meters ahead! We then had a delicious Sunday roast at our friends house, perfect end to a busy weekend.